Whenever I come to the Balestier area, I seldom leave here without getting a box of my favourite tau sar piah or 豆沙饼, a Chinese flaky pastry with green bean billing. I had tried the tau sar piah from several bakeries in the same neighbourhood. 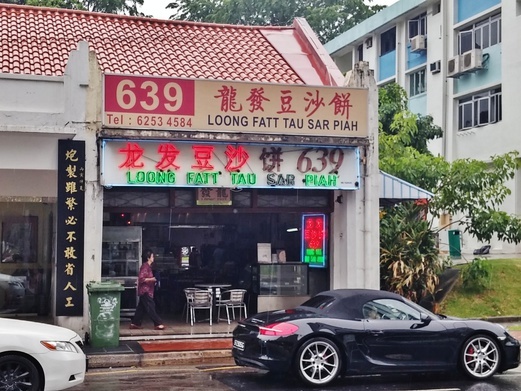 [Read my earlier blog post -> 603 Tau Sar Piah vs Royal River Bakery (aka Whampoa Tau Sar Piah).] But it’s still the tau sar piah from Loong Fatt that keeps me coming back for the last 8 years which imo, is the best tau sar piah in Singapore. Their one and only outlet is located at 639 Balestier Road. 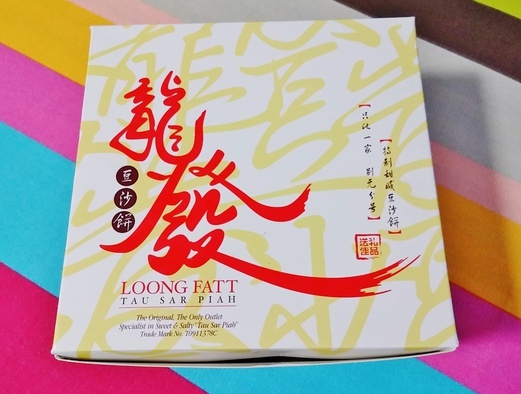 Unlike the current Thye Moh Chan that offers an array of different tau sar piah that includes traditional ones as well as modern and innnovative flavours, Loong Fatt only specialises in the traditional sweet and salty tau sar piah. 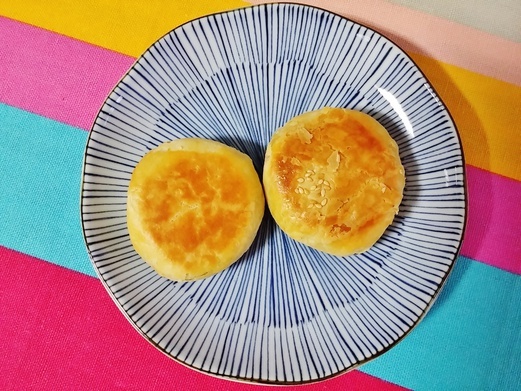 The one without sesame seeds on top is salty and the one with sesame seeds is sweet. Each tau sar piah is priced at S$0.70 each. When I brought home my box of 5 sweet and 5 salty tau sar piah, they were still so fresh and warm. I really couldn’t decide which one of the two was better because I loved them both. The skin of the tau sar piah was so crispy, it was almost like biting into a flaky biscuit. Even when it was left out for several hours and I took a piece again for a later tea break, the skin was still very crispy. Amazing. 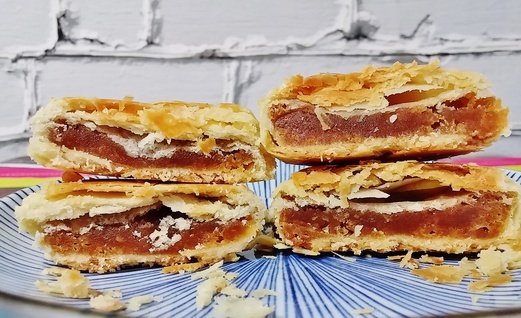 The texture of the filling was similar to that of a mooncake’s lotus seed paste filling. Thick but not over the top. The sweet one wasn’t saccharine sweeet and the salty one was just perfectly seasoned. Was here to buy the famous tau sar piah. Was so disappointed with the lady boss allowing her friend to jump que. The que was quite long(about 10 pax) and this lady came in and chat with the fat lady boss seated just beside the fridge and the lady boss called u out her worker and secretly ask her worker to pack a box for her “friend”. I am disappointed as she should has a good busines attic and respect all the customer who is patiently waiting in the que.